The HVT52 is a hovering trimmer designed for mowing on steep inclines, near watersheds, and other areas where a walk mower can't do the job. 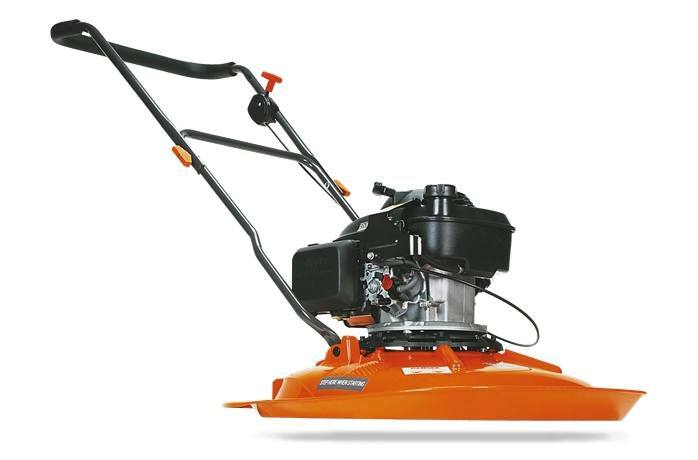 Riding on a cushion of air produced by a large impeller fan underneath the deck, the HVT52 uses rotating trimmer line to cut grass and weeds. Its reliable Honda engine starts easily and provides more than enough torque to cut while it hovers. Cutting height, min-max (approximate): 2 - 3 in.